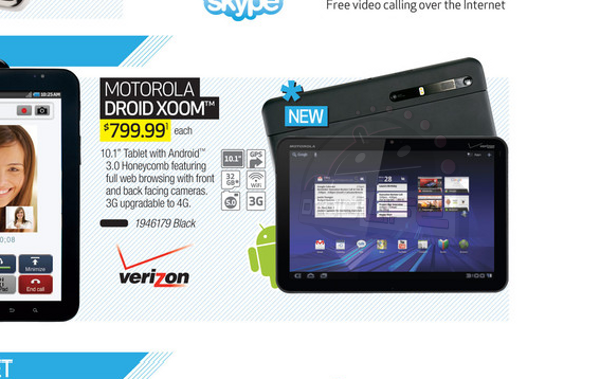 We were told that the Motorola XOOM would be DROID-branded back when the device was still vapor, so when a reader sent over this picture from March’s BBY Buyer’s Guide showing our favorite tag in print, we had to share. It’s really too bad that they axed the name at the last minute. We all know that “DROID” is how many refer to all Android phones in general and the term has really helped propel this mobile OS that we love so much to impressive heights. It sure seems to be about brand recognition in this game and using this name would have made it a lot more relatable to your average customers who are probably a little unsure about that $799 price tag. But Motorola likely wanted to spread it around to other carriers at some point, and leaving it off just made it much easier. Or maybe they just didn’t want to fork out a bunch of cash to George Lucas?